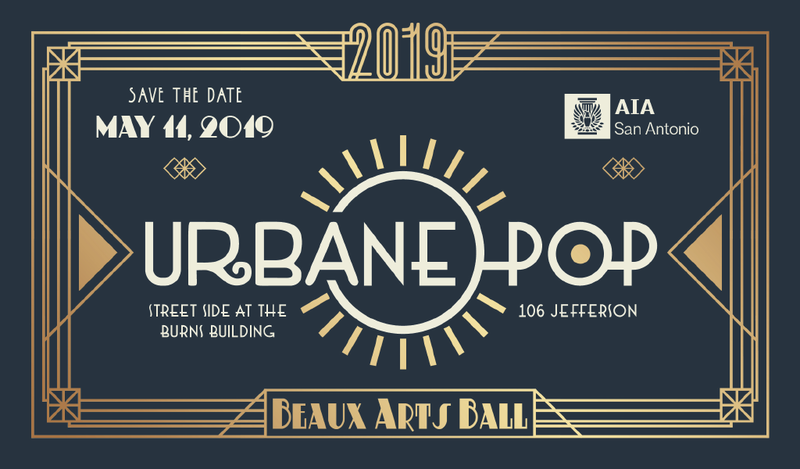 Rediscover the magic of downtown at AIA San Antonio’s Beaux Arts Ball Urbane Pop on Saturday, May 11, 2019 at the beautifully restored Burns Building. Strategically located on the corner of Jefferson and Houston Street, the Burns Building is definitely the place to be for a night of showstopping fun. Like the time-honored adage ‘What’s Old is New Again’, at the Burns you’ll step back into retailing history at this century old department store while also stepping forward into a timeless historic renovation designed for modern use. Spacious storefront windows where men’s fashion was once displayed now pop with historic images detailing downtown San Antonio’s built legacy. Whether you choose to be inside or out, you’ll always at the heart of the party. Inside the spacious lobby you’ll be enticed to linger with friends while sipping craft cocktails and savoring delicious fare. Steps away a one-of-kind Bubble Bar offers sparkling drinks that make sipping fun! Street side, on downtown’s newest urban parklet, you’ll have a front row seat for a parade of incredible entertainment and a spectacular light show on the wall of the Kress Building. 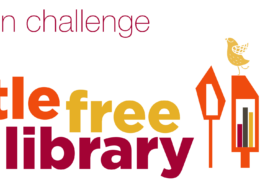 And, there is even more fun to be had! 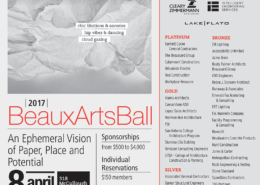 In a first-time partnership AIA San Antonio is excited to connect our Beaux Arts Ball to Centro’s festive Bubbles & Brass community celebration just across Jefferson in tribute to the 100th birthday of the iconic Kress Building. 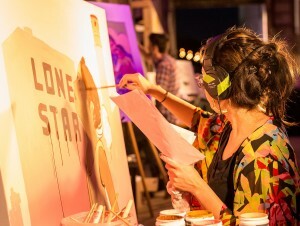 It’s two parties for the price of one – all good fun in support of architecture and downtown activation. 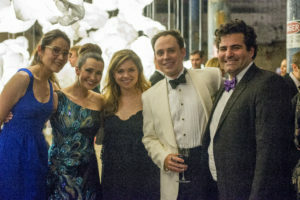 The Beaux Arts Ball, AIA San Antonio’s annual Gala, has always been an evening of creative design-inspired fun. 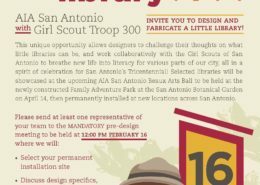 Since 1993, thanks to success of this event and the incredible generosity of our sponsors has enabled our chapter to successfully fund scholarships, library resources, and lecture series for the benefit of our community, the San Antonio College Department of Architecture, the UTSA College of Architecture, and programming for the profession and the community at the Center for Architecture. [re]vive! 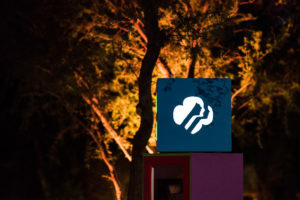 A feast for the senses at AIA San Antonio’s 2018 Beaux Arts Ball on Saturday, April 14 at the San Antonio Botanical Garden. Our chapter was excited to be the first event in the 2.5-acre Family Adventure Garden. 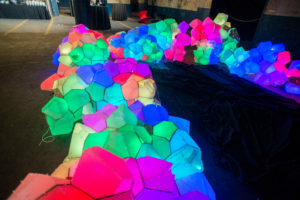 This child-scaled landscape provided a playground of adventures for another fun-filled Beaux Arts Ball. Tiny Texas landscapes completed with ephemeral creeks, thundering ridges, beckoning hills, and tranquil pools inspired guests to [re]see all the beauty of springtime.